A few months ago I posted my pictures and asked for opinions. Unfortunattely the camera lies and doesn’t reveal the true extent of my hair loss as a brush with a few fingers. I think I’m headed for an NW7. So my guess is that a traditional HT is out of the question. I do have excellent—almost perfect–body hair characteristics, but can they be placed close enough together to look well on a scalp? I am torn between going all out on a massive HT/BHT series of operations or waiting for HM. My twenties have already been lost, but I wonder how much of my thirties will be the same unless I act now? Opinions? » A few months ago I posted my pictures and asked for opinions. » hair loss as a brush with a few fingers. I think I’m headed for an NW7. » going all out on a massive HT/BHT series of operations or waiting for HM. » will be the same unless I act now? Opinions? Why has your twenties “already been lost”? » » A few months ago I posted my pictures and asked for opinions. » » hair loss as a brush with a few fingers. I think I’m headed for an NW7. » » will be the same unless I act now? Opinions? » Why has your twenties “already been lost”? I dont know what your hair looks like, but if you still have hair left up there and are NW3 or above, use the big 3 (finas, nizoral 3X a week, and minoxidil) and try to hang on to what you have. If you really are NW5 or so NOW, just buzz or shave your head and enjoy your life and wait----help may be on the way in a few years. BHT doesn’t have the track record as of yet for you to really risk your appearance upon it. Some guys get a head full of scars and relatively little hair with it. It would be much better to be “slick” with a nice goatee and a gym bod than have comb-over hair. BHT’s, (cole study) cannot be implanted as densley as traditional HTs can becuase the body hairs simply wont grow. Cole found that the lower density BHTs with one particular angulation grew best. The yield was better and gave MORE HAIR PERIOD at lower densities. You can ask hairsite about it, and they’ll probably link you the study and associated pictures. If you cannot take finasteride because of side effects and still have decent hair that you want to keep, I’d suggest fluridil personally. I take finasteride myself. I really would not recommend a strip surgery for someone who thinks their end point in baldness might be a high NW level. That could keep you from ever being able to buzz. Even if you got a BHT----a responsible doc would probably want you to have a head/body hair “mix” up there for best results. People like yourself run into the “problem” with HT’s, a lack of donor hair. Only through a working hair multiplication protocol can this be addressed. Some people simply will not have enough donor hair in the future. Joe Biden, with his large back baldspot behind his transplants in the front, is a perfect example of this. Check out what Dr. Umar did with Heliboy. It’s amazing what he did with BHT. Well, Just Say No to strip scars, that’s for sure. And I agree about the negative faith in BHTs. Just not reliable. I get the feeling that it’s more than just “we haven’t gotten it nailed it down yet” like with unreliable FUE results. I think the BHT issues are probably a reflection of deeper incompatibilities that we’re never gonna get around with better HT methods. There’s too many guys that have thrown big money at this and gotten essentially nowhere. I agree, it’s probably HM or a buzz down for you. That’s not all you could do, but that’s what’s reasonably practical and a decent risk. If I were to start over again, I’d have FUE work in my frontal third and fill in the crown as needed with all donor sources available over time. If a BHT (and beard hair) test is successful, the crown could be filled in over time using non-traditional donor hair. It won’t look the same as all head hair donor but better than a good hairline and nothing behind it. Young guys today have much better options. Havent read other replies, but me personally I would defitely get a procedure and fight it all the way. We are only here once in life, so why not be the best we can be. This is a complex issue that must be approached only after you have obtained in-person consultations of qualified surgeons. You should consider major hair loss as if it was a chronic ailment and so a strategy from a highly skilled physician should be executed as a treatment plan. Definitely get more than one opinion and use maximal medical therapy to hopefully stabilize your hair loss for some time. 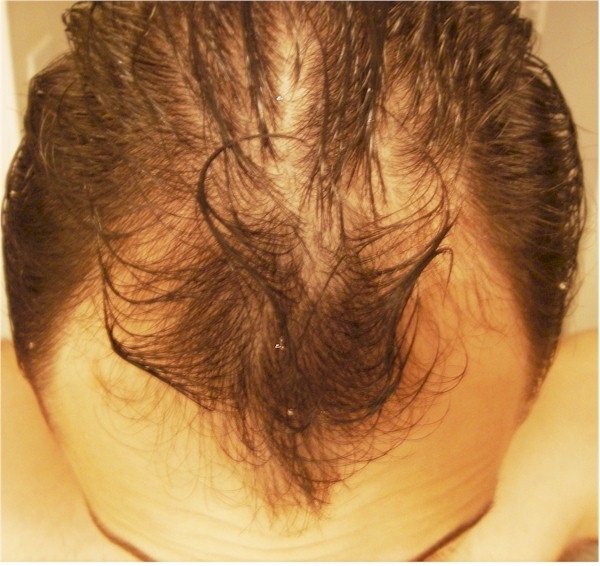 As you know, hair loss can be a progressive condition so everyone must treat it as such. Your donor hair bank must meet the demands of your recipient area. 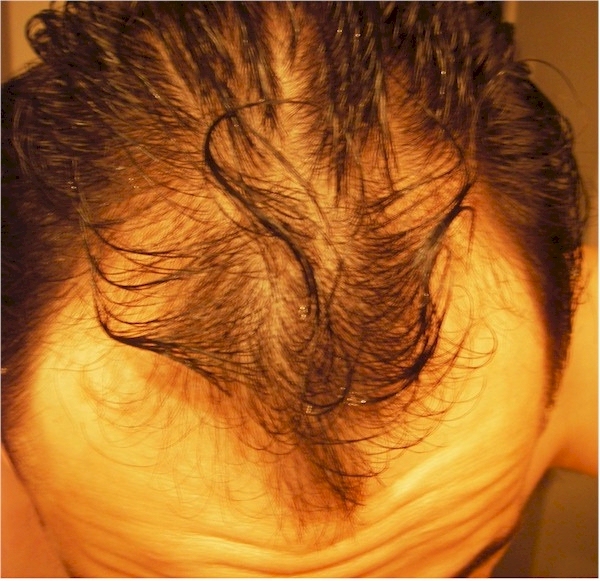 Most NW 7 patients can require 4000 to 5000 scalp hair grafts just to conservatively restore the hair loss. It’s very important to take in account both hair density and hair characteristics when considering the amount of hair which needs to be transferred. The body hair approach is to be considered only if you understand that its growth and final appearance is unpredictable in cases. By any means, a test is always the first step in determining what coverage to expect from a BHT session. Lastly, do your research on the advantages and disadvantages of each hair transplant method offered by your most prospective clinic. I hope this message has shed some light on how to approach hair loss. with all the talk of bh why not take it easy on yourself before spending sh*t loads of money and time and frustration. maybe get your research down to a few docs and see if one will do a test for you, see how it goes/grows before jumping in head first. Firstly, sorry about the tardiness of this reply: been a busy week. I am not considering strip. Moreover, if the physician even offers strip this is one strike against him in my eyes. My body hair characteristics are great: I was once told by a girl that the top of my back hair is soft, and, to her, it felt like head hair. It’s thick and long (fairly). My only worry is: can they get them to grow with decent density, if they can, then I have no worries. So far, the best BHT photo’s I’ve seen come from Woods & Umar. Money? Not an object. As for supplements, I’m only using fin: this is where I am especially open to suggestions. Please tell me what you would add and, more importantly, why. I think I have managed to respond to all of the questions posed. If I haven’t, pardon me and repeat the question. I just created a journal for you based on pictures you posted earlier. The journal link shows up at the bottom of all your posts. My advice: do a small session as a test. That would be the only way to find out without taking on too much risk. I am including your pics in this post as well in case others want to comment on your situation. Thanks, Hairsite. I just noticed! I don’t know why you think you are headed for an NW7, my hair loss is more or less the same as yours, besides why does it have to be all or nothing? Can’t it be a little at a time like hairsite suggests while you are waiting for HM? That’s what I am trying or hoping to do anyway. I think I’m headed for an NW7 based on my thinning: every where I’ve begun to thin has rapidly experienced hairloss. At this point I am confident (as possible) that I know what to expect in the way of more hair loss. Ive read alot of posts in regards to using both monoxidil and fin in combination to get the best results. Some also add Nizoral Shapoo nicknamed the big three. My hair Doc doesnt recommend Nizoral, but I bought 5 bottles before I found that out, so use a small amount once a week mixed with other shampoos. Monitor yourself for side effects. Ive noticed lately a tingling in my left breast which Im not happy about so lowered my fin dosage to under a miligram. There is a whole other part of this website with all about diferent hair treatments, so you should take a look when you get a chance. » fin dosage to under a miligram. » treatments, so you should take a look when you get a chance. hairwhereiwantit, now that you mentioned, I think I have that tingling in my left breast also, how long have you been using Propecia before you started feeling that way? Add minox for sure, use the foam, don’t use regular Rogain. The foam works a lot better. » » fin dosage to under a miligram. » » treatments, so you should take a look when you get a chance. » » Good Luck with it all. » started feeling that way? 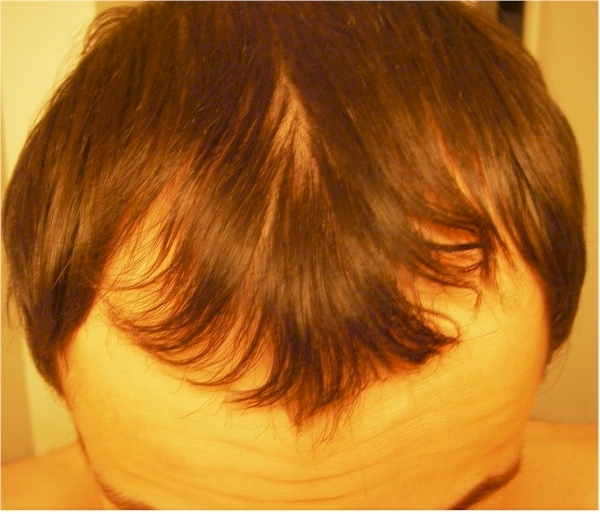 I started using minoxidil and fin around 2 months before my procedure on the 2nd of April 2008. I guess I first noticed the tingling sensation about a month ago. When I was young and stupid at 18 and training at the gym everyday I was convinced by my training partner to try some stanozolol(an anabolic steroid). Some guys take a vial every few days. I took one vial over 8 weeks and had the same thing happen to me, so Im definitely predisposed to having this happen when taking a hormone, and in this case fin. After never using it again, even after 20 years nearly my left and right breast are slightly, as in millimeters different to each other, with one having a lump under it that you can feel but cant detect. So I thought many weeks before taking fin. In the end I was more worried about my hairloss than my lump growing, so here I am. I wouldnt mind if it happened to both sides as it actually looks better at this stage than the unaffected side. Its the for want of a better word, non linear/uniformity, (you get my drift), that I dont like. I am gradually trying to take less and less till I notice any unusual extra hairloss I havent been experiencing with normal dosage. So far so good, but still feel the tingling. I can live with the tingling, hot burn sensation. Its the increase in size that I am monitoring more. Im a bit paranoid often thinking there is a size increase but I dont think there has been. I read a thread here from hairsite, or someone else knowlegable on this forum that said once you have the hard cartilage lump feel to it, drugs wont help. So I wasnt happy about that as I was thinking to take an anti estrogen like Arimidex. Maybe depending on your circumstances if needed, that could be an option if you really were worried. Now I pretty well cut a 5mg generic version of fin into 6ths or 7th, depending on how lucky I am with the box cutter. Sometimes it gives a nice cut so I get them all around the same size. Other times it may break at odd angles etc and drive me nuts trying to make them all even). Good Luck with everything. Hope my personal experience has helped.